If you haven't discovered LOL Cats yet, you probably don't live with a teenager or you aren't a 20-something. But for some strange reason, the juxtaposition of cute photos and bad grammar is strangely appealing. My own kids are very taken with the lol cat who says "I made you a cookie. But I eated it." And they do seem to be cropping up everywhere. 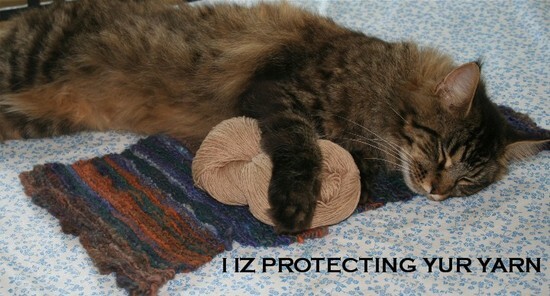 So, with all due apologies, this is my own sweet little LOL Cat Harry, Protector of THE STASH.